Those of you who have been following me on IG might have seen this look already. Ang tagal na nito, diba? Haha! 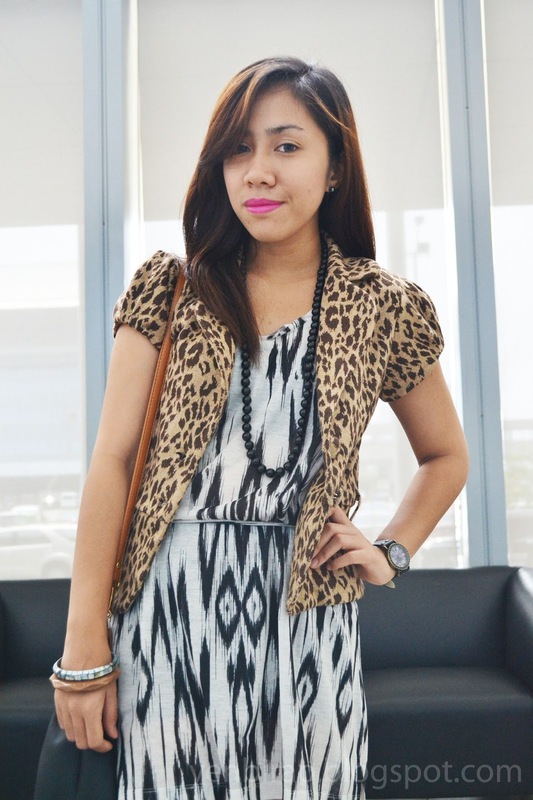 I wore this on the last day of the Philippine Fashion Week Holiday 2013 when I watched 3 designer shows. Will blog about it once the photos are ready. Sooo...after 10 years pa! Lol. Kidding! Anyway, on to my outfit. Here I go again with my favorite number- the print on print! But this time, my shoes decided to join in the fun. Haha! Got these babies as a Christmas gift from my guy best friend last year. I do not know what's wrong with me coz I keep on forgetting I have them. That's why for this look, I decided to build my outfit around these leopard print booties. Such an eye catcher, right? What can you say about my blazer having the same print as my shoes? They're like a match made in heaven! My love for animal prints are definitely back! 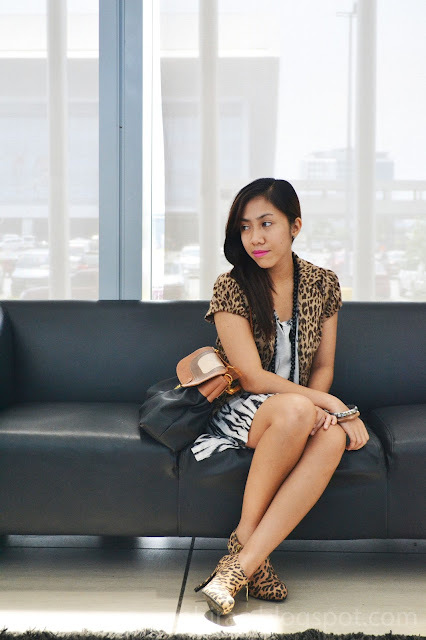 I don't wanna look too fierce with all these leopard prints so I wore this dress that I got from H&M in Bangkok to balance the whole outfit. But of course, I made sure it's printed too. 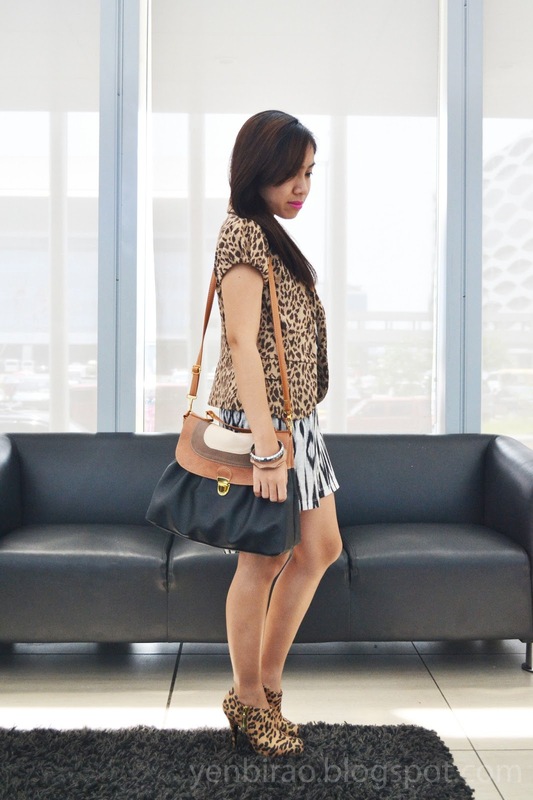 Zebra print, it is! So, what do you think about my look? I hope you love it as much as I do!